On Thursday, April 26th, 2018 at 11:00am EST the forums will go offline to perform a major update to the forum platform we run on. The update is expected to last between 5-7 hours, however I have allocated 8 hours into the schedule just in case. During this time the forums will be completely unavailable (I will create a small landing page to inform people of whats going on). The update to the forums will introduce a number of fantastic new features and smaller bigfixes and improvements that should improve overall user experience. 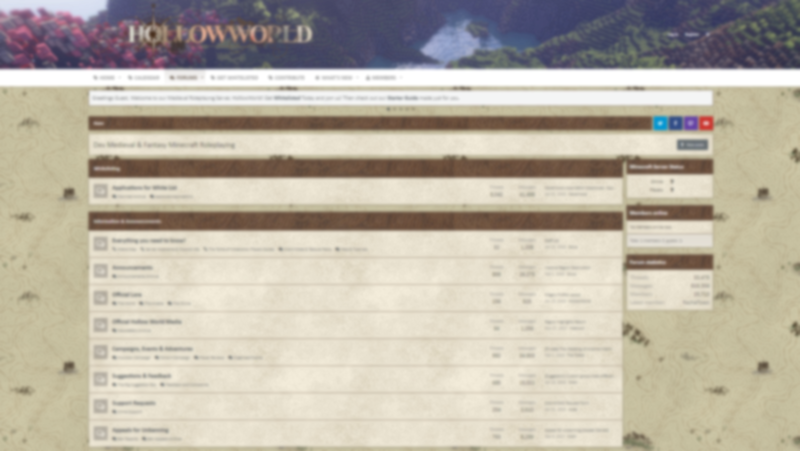 On that same note, we will be changing our forum style. We will be keeping the feel of the current long-standing style, but the change will be significant and refreshing. *Note that this upgrade is very significant and we have been working on this project for a long time now. There may be small bugs here and there, and it is not expected to be 100% completed when we launch it. Users will be encouraged to report bugs once it has gone live. Thank you for understanding! can the white bar be changed to brown. i don't like the white, everything else looks great. I like the top banner. i just hate change and the logo changing had me complaining for 3 years. like i said change is scary. Add some more trophies I've been sitting near the max points for a thousand years. Incorrect. I asked Cherbert to fix the trailing 3 at the end of the trophy points so it'd be a zero, and he gave just me a 7 point trophy. I've never had access to the forums management panel. I like how with that banner you can see a minecraft world. So finally the minecraft aspect of it all is also visible on the forums.